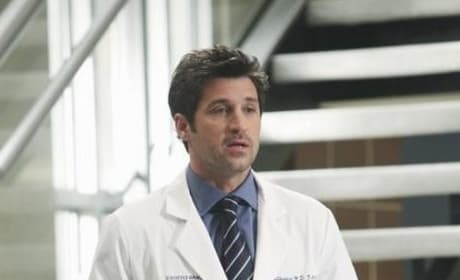 Derek Shepherd readies for another day on the job. Life is tough when you're in charge! 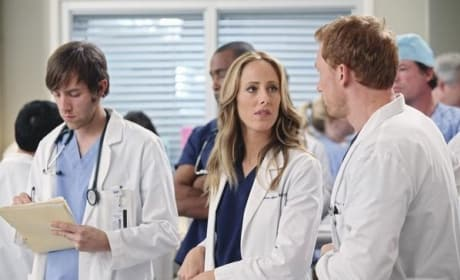 Teddy and Owen in a pic from "State of Love and Trust," the February 4, 2010 episode of Grey's Anatomy. Their relationship, past and present, has sparked great speculation in recent weeks. 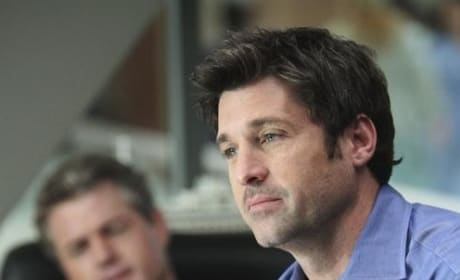 Derek and Mark in a shot from "State of Love and Trust," the February 4, 2010 episode of Grey's Anatomy. What do you think they're talking about? 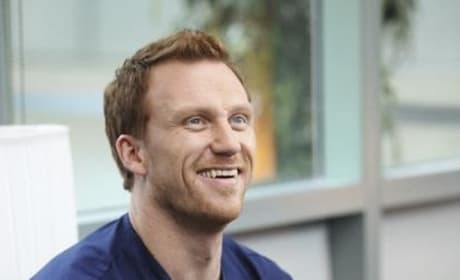 Cristina is always at the center of some drama, usually regarding her personal life or her professional ambitions. Sometimes the two intersect. 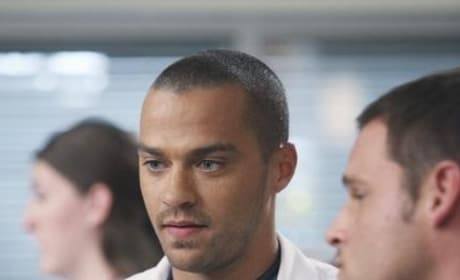 Jackson Avery (Jesse Williams) is among the newcomers from Mercy West who we've gotten to know. Too well, as far as some fans are concerned. Alex looks on as Derek speaks. 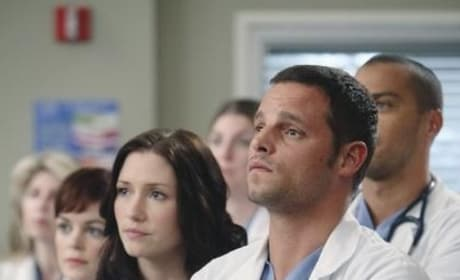 Lexie can be seen behind him. 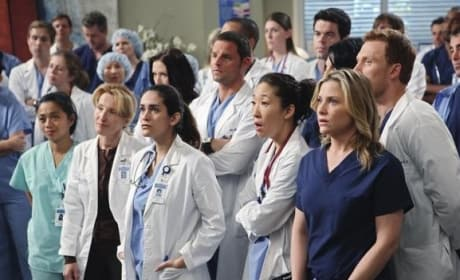 The staff of Seattle Grace-Mercy West comes together for a big meeting. What do you think the reason for that is? 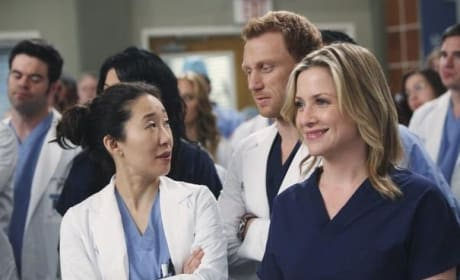 Arizona and Cristina share a smile. What do you think that's about?